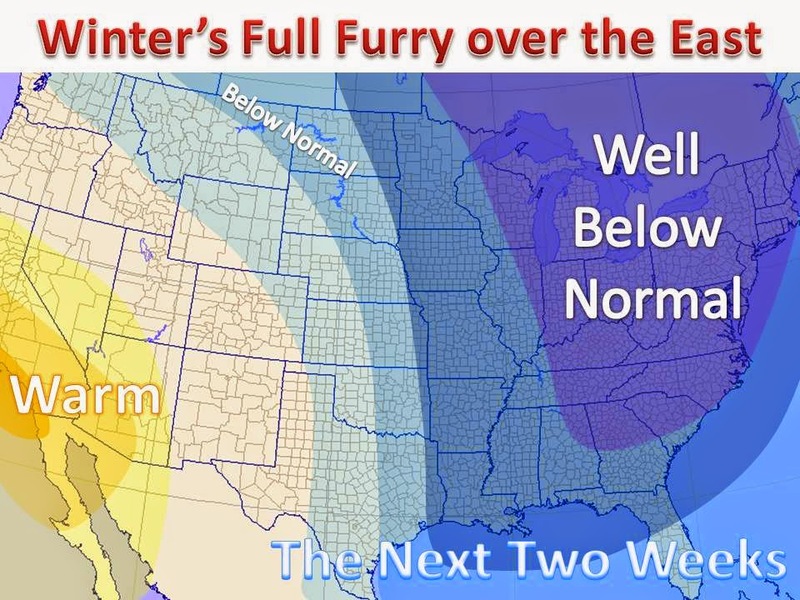 Here comes winter, again. The pattern that brought much of the winter storms to the east coast and quick hitting clippers to the midwest will amplify further. 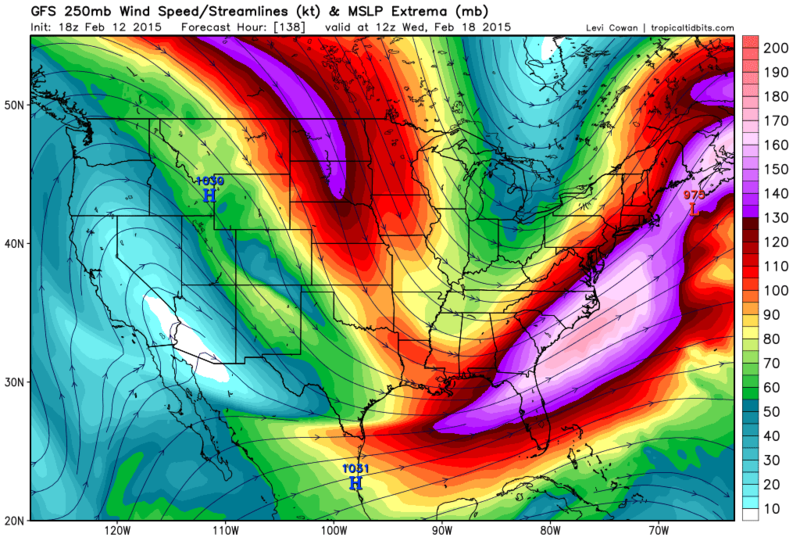 This will allow could Canadian air masses into the eastern 2/3 of the country as the jet stream looks to stay south. There will be occasional warm-ups ahead of storm systems, but when they pass through the winds will quickly shift to the north and cool thing down considerably once again. Highs will run 15-30 degrees below normal through much of the next 2 weeks, with the exception of 1-2 days warm-ups. The attached video is a loop of surface temperature anomalies off the 18z GFS model. It shows the persistent cold through the next 16 days, mainly in the east. While 2 meter temperatures off models are not the best forecast tool for surface temperatures, it does give a general idea of what we are thinking at Midwest Weather. Below is the 250mb mean wind, it shows a large ridge in the west and a trough in the east. This is the common recipe for prolonged cold spells. Meanwhile, Alaska stays warm, likely warmer than much of the Midwest over the next couple weeks, something to pay attention to .